1Young Researchers and Elite Club, Qazvin Branch, Islamic Azad University, Qazvin, Iran. 2Department of business management, Qazvin Branch, Islamic Azad University, Qazvin, Iran. Nanotechnology deals with studies of phenomena and manipulation on elements of matter at the atomic, molecular and macromolecular level (rangefrom1to100nm), where the properties of matter are significantly different from properties at larger scales of dimensions. Nanotechnology is science, engineering, and technology conducted at the nanoscale, which is about 1 to 100 nm where nano denotes the scale range of 10-9 and nanotechnology refers the properties of atoms and molecules measuring thoroughly 0.1 to 1000 nm. Nanotechnology is highly interdisciplinary as a field, and it requires knowledge drawn from a variety of scientific and engineering arenas. There are two main types of approaches to nanotechnology: the first approach is Top-down and another one is Bottom-up approach. The Top-down approach involves taking layer structures that are either reduced down size until they reach the nano-scale or deacon structured into their composite parts. This paper aims to deal with Top-down approach in order to utilize Biopolymer nanoparticles for Creating Antimicrobial for chicken feed so that the live average time of chicken will be increased noticeably by using max-min optimization approach. Finally, the applicability of the proposed approach and the solution methodologies are demonstrated in three steps. Kratica, J., Stanimirović, Z., Tošić, D., & Filipović, V. (2007). Two genetic algorithms for solving the uncapacitated single allocation p-hub median problem. European journal of operational research, 182(1), 15-28. Lin, C. C., & Chen, Y. C. (2003). The integration of Taiwanese and Chinese air networks for direct air cargo services. Transportation research part A: Policy and practice, 37(7), 629-647. Karimi, H., & Bashiri, M. (2011). Hub covering location problems with different coverage types. Scientia iranica, 18(6), 1571-1578. O’Kelly, M. E., & Bryan, D. L. (1998). Hub location with flow economies of scale. Transportation research part B: Methodological, 32(8), 605-616. Ebery, J., Krishnamoorthy, M., Ernst, A., & Boland, N. (2000). The capacitated multiple allocation hub location problem: Formulations and algorithms. European journal of operational research, 120(3), 614-631. Ebery, J. (2001). Solving large single allocation p-hub problems with two or three hubs. European journal of operational research, 128(2), 447-458. Pérez, M., Almeida, F., & Moreno-Vega, J. M. (2005, August). A hybrid GRASP-path relinking algorithm for the capacitated p–hub median problem. International workshop on hybrid metaheuristics (pp. 142-153). Springer, Berlin, Heidelberg. da Graça Costa, M., Captivo, M. E., & Clímaco, J. (2008). Capacitated single allocation hub location problem—A bi-criteria approach. Computers & operations research, 35(11), 3671-3695.
 de Camargo, R. S., Miranda, G. D., & Luna, H. P. (2008). Benders decomposition for the uncapacitated multiple allocation hub location problem. Computers & operations research, 35(4), 1047-1064. Contreras, I., Díaz, J. A., & Fernández, E. (2009). Lagrangean relaxation for the capacitated hub location problem with single assignment. OR spectrum, 31(3), 483-505. Sim, T., Lowe, T. J., & Thomas, B. W. (2009). The stochastic p-hub center problem with service-level constraints. Computers & operations research, 36(12), 3166-3177. Wei, G., Jinfu, Z., & Weiwei, W. (2010, August). A tree pruning algorithm for the capacitated p-hub median problems. Proceedings of international conference on information engineering (ICIE), 2010 WASE . 324-327). IEEE. Stanimirović, Z. (2012). A genetic algorithm approach for the capacitated single allocation p-hub median problem. Computing and informatics, 29(1), 117-132. Yang, K., Liu, Y., & Zhang, X. (2011). Stochastic p-hub center problem with discrete time distributions. Advances in neural networks–ISNN, 182-191. Yaman, H., & Elloumi, S. (2012). Star p-hub center problem and star p-hub median problem with bounded path lengths. Computers & operations research, 39(11), 2725-2732. Rabbani, M., Pakzad, F., & Kazemi, S. M. (2013, April). A new modelling for p-hub median problem by considering flow-dependent costs. Proceedings of 5th international conference on modeling, simulation and applied optimization (ICMSAO). 1-4. IEEE. Yang, K., Liu, Y. K., & Yang, G. Q. (2013). Solving fuzzy p-hub center problem by genetic algorithm incorporating local search. Applied soft computing, 13(5), 2624-2632. Farahani, R. Z., Hekmatfar, M., Arabani, A. B., & Nikbakhsh, E. (2013). Hub location problems: A review of models, classification, solution techniques, and applications. Computers & industrial engineering, 64(4), 1096-1109. Eiselt, H. A., & Laporte, G. (1997). Sequential location problems. European journal of operational research, 96(2), 217-231. Eiselt, H. A., Laporte, G., & Thisse, J. F. (1993). Competitive location models: A framework and bibliography. Transportation science, 27(1), 44-54. Marianov, V., Serra, D., & ReVelle, C. (1999). Location of hubs in a competitive environment. European journal of operational research, 114(2), 363-371. Lüer-Villagra, A., & Marianov, V. (2013). A competitive hub location and pricing problem. European journal of operational research, 231(3), 734-744. Sasaki, M., Campbell, J. F., Krishnamoorthy, M., & Ernst, A. T. (2014). A Stackelberg hub arc location model for a competitive environment. Computers & operations research, 47, 27-41. Tavakkoli-Moghaddam, R., Gholipour-Kanani, Y., & Shahramifar, M. (2013). A multi-objective imperialist competitive algorithm for a capacitated single-allocation hub location problem. 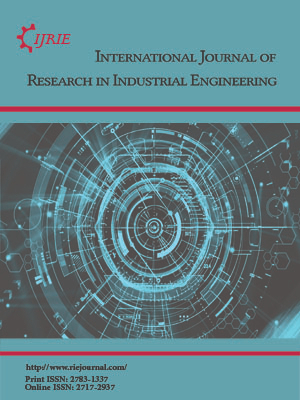 International journal of engineering-transactions C: Aspects, 26(6), 605-612. Chou, C. C. (2010). Application of FMCDM model to selecting the hub location in the marine transportation: A case study in southeastern Asia. Mathematical and computer modelling, 51(5), 791-801. Michael, R. G., & David, S. J. (1979). Computers and intractability: a guide to the theory of NP-completeness. W. H. Freeman & Co. New York, NY, USA. [Tizhoosh, H. R. (2005, November). Opposition-based learning: a new scheme for machine intelligence. Proceedings of international conference on intelligent agents, web technologies and internet commerce,computational intelligence for modelling, control and automation. 695-701. IEEE. Tizhoosh,H. R.(2009). Opposite fuzzy sets with applications in image processing. Proceedings of international fuzzy systems association world congress. 36-41. Lisbon, Postugal. Ventresca, M., & Tizhoosh, H. R. (2006, July). Improving the convergence of backpropagation by opposite transfer functions. Proceedings of international joint conference on neural networks, IJCNN'06. 4777-4784. IEEE. Shokri, M., Tizhoosh, H. R., & Kamel, M. S. (2007, April). Opposition-based Q (λ) with non-markovian update. Proceedings of international symposium on approximate dynamic programming and reinforcement learning, ADPRL. 288-295. IEEE. Rahnamayan, S., Tizhoosh, H. R., & Salama, M. M. (2008). Opposition-based differential evolution. IEEE transactions on evolutionary computation, 12(1), 64-79. Ergezer, M., Simon, D., & Du, D. (2009, October). Oppositional biogeography-based optimization. proceedings of International Conference on Systems, Man and Cybernetics, SMC. 1009-1014. IEEE. Wang, H., Wu, Z., Rahnamayan, S., Liu, Y., & Ventresca, M. (2011). Enhancing particle swarm optimization using generalized opposition-based learning. Information sciences, 181(20), 4699-4714. Malisia, A. (2008). Improving the exploration ability of ant-based algorithms. Oppositional concepts in computational intelligence, 121-142. Ventresca, M., & Tizhoosh, H. R. (2007, April). Simulated annealing with opposite neighbors. Proceedings of symposium on foundations of computational intelligence, FOCI. 186-192. IEEE. Seif, Z., & Ahmadi, M. B. (2015). Opposition versus randomness in binary spaces. Applied soft computing, 27, 28-37. Pasandideh, S. H. R., Niaki, S. T. A., & Niknamfar, A. H. (2014). Lexicographic max–min approach for an integrated vendor-managed inventory problem. Knowledge-Based systems, 59, 58-65. Kubotani, H., & Yoshimura, K. (2003). Performance evaluation of acceptance probability functions for multi-objective SA. Computers & operations research, 30(3), 427-442. Simon, D. (2008). Biogeography-based optimization. IEEE transactions on evolutionary computation, 12(6), 702-713. Ramezanian, R., Rahmani, D., & Barzinpour, F. (2012). An aggregate production planning model for two phase production systems: Solving with genetic algorithm and tabu search. Expert systems with applications, 39(1), 1256-1263. Fei, C., & Li, J. P. (2012, December). Multi-focus image fusion based on nonsubsampled contourlet transform and multi-objective optimization. Proceedings of international conference on wavelet active media technology and information processing (ICWAMTIP). 189-192. IEEE. Sarrafha, K., Rahmati, S. H. A., Niaki, S. T. A., & Zaretalab, A. (2015). A bi-objective integrated procurement, production, and distribution problem of a multi-echelon supply chain network design: A new tuned MOEA. Computers & operations research, 54, 35-51. Sivanandam, S. N., & Deepa, S. N. (2007). Introduction to genetic algorithms. Springer Science & Business Media. Deb, K. (2001). Multi-objective optimization using evolutionary algorithms (Vol. 16). John Wiley & Sons. Zitzler, E., & Thiele, L. (1998, September). Multiobjective optimization using evolutionary algorithms—a comparative case study. Proceedings of international conference on parallel problem solving from nature. 292-301. Springer, Berlin, Heidelberg. Schott, J. R. (1995). Fault tolerant design using single and multicriteria genetic algorithm optimization. Difference technical information center. Peace, G. S. (1993). Taguchi methods: a hands-on approach. Addison Wesley Publishing Company. Rahmati, S. H. A., Hajipour, V., & Niaki, S. T. A. (2013). A soft-computing Pareto-based meta-heuristic algorithm for a multi-objective multi-server facility location problem. Applied soft computing, 13(4), 1728-1740. Tawarmalani, M., & Sahinidis, N. V. (2005). A polyhedral branch-and-cut approach to global optimization. Mathematical programming, 103(2), 225-249. Tawarmalani, M., & Sahinidis, N. V. (2004). Global optimization of mixed-integer nonlinear programs: A theoretical and computational study. Mathematical programming, 99(3), 563-591. Tzeng, G. H., & Huang, J. J. (2011). Multiple attribute decision making: methods and applications. CRC press.